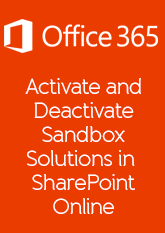 In recent days Microsoft have released a Visual Studio solution which allows you to control SharePoint Online sandbox solutions. 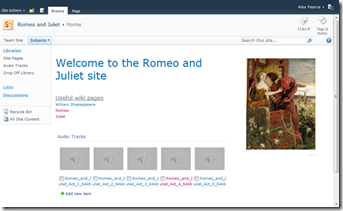 The solutions builds a DLL file which can be imported as a PowerShell module and then you can use it to Upload, Activate, Deactivate and Delete solutions from a SharePoint Online site collection. 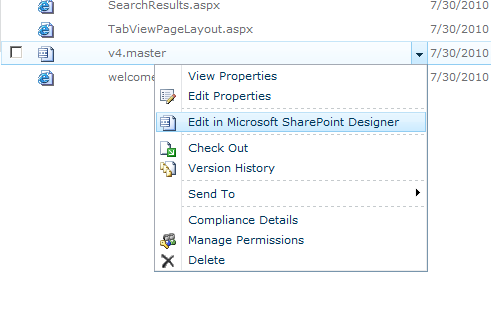 The provided documentation is great however during my own testing I found that solutions were not getting deactivated in my SharePoint Online 2010 site collections. 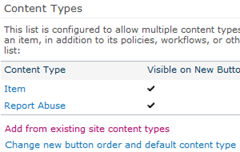 You will most likely find your 2010 site collection is actually in SharePoint 2013 version (15.0+) however if you use the -environment “MSO_2010” presents an error. 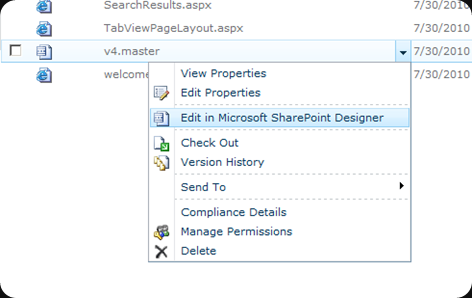 If you change this to -environment “MSO_2013” you will find it works even though you site collection appears to be in 2010. Click here to download the solution from the Microsoft code website. You will have to Build the solution to get the DLL as the one from the download does not work. 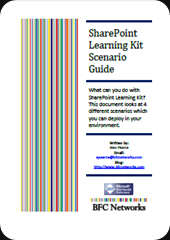 Alternatively you can download it from here. 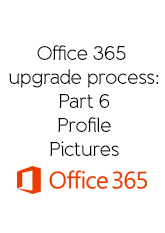 During the upgrade of one our tenancies we have noticed that the profile pictures we uploaded in 2010 look slightly pixelated. 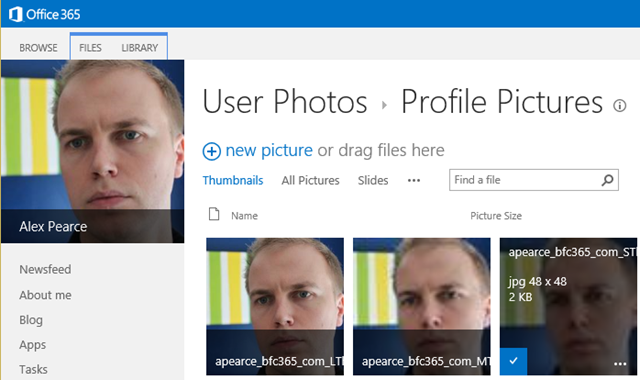 What to make ensure a good experience through out or are missing images through out your SharePoint Online tenancy, get your users to upload a new profile picture. One of the hot topics in the IT industry for 2012 was the subject of Bring Your Own Device and how these can be managed on a secure network, data leakage and the general day to day operation when user can do what ever they want with their admin permissions. When considering one of our new design for education and SharePoint we wanted to make it easier for learner to get from the device they have in their hand to the information that was being projected on the screen or on another monitor. Even though there is the whole subject of how you manage phones and tablets that pupils have at home we want to ensure that if they bring them into the classroom they are using them effectively for learning. In our latest design we have added the ability for the school to have their own QR code in the top right of the environment allowing pupils to pull out their devices, scan the code and then access the information in lessons and access it on their device when they want it. What do you think of this using QR codes this way? Leave a comment below and let us know. Ever since the 7th February 2012 which was Safer Internet Day I have been wondering how I could build and share some kind of Report Abuse system in SharePoint that you could build into your own SharePoint environment. Safer Internet Day was run to make kids and teenagers aware of what to share on the internet, how to behaviour in a safe manner and don’t be afraid to report abuse from strangers on the internet or by bullies in or out of the school. There has been an awareness video made which you might find useful to demonstrate to pupils. 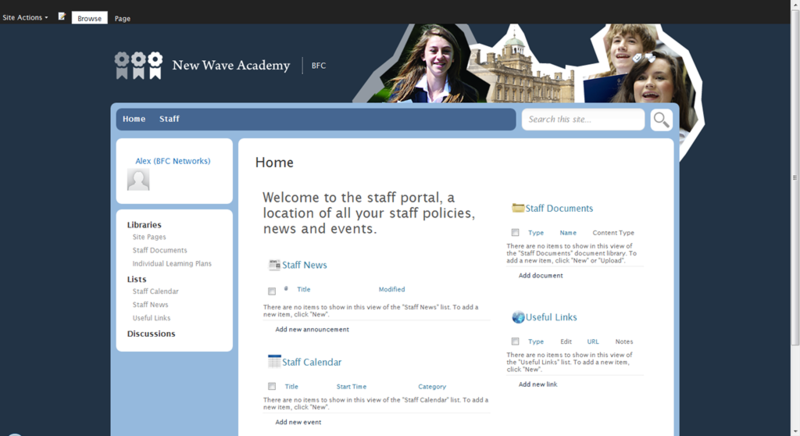 An secure area for selected member of staff to see the reports and get in touch with the student. 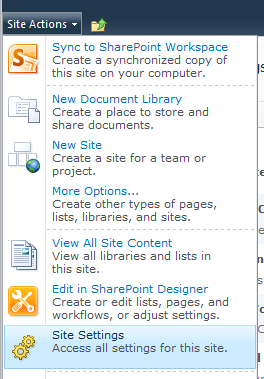 We need to create a new SharePoint site, something that is going to have a useful link that kids can remember. 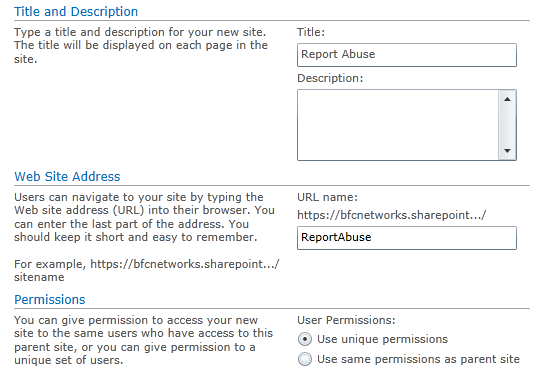 Navigate to the top of your SharePoint site and create a new blank site classes ‘Report Abuse’. 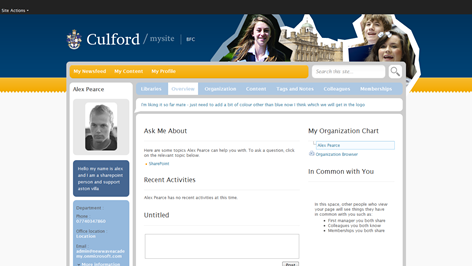 Ensure the site has unique permissions as we need to set special permissions in the site to ensure anything that is reported is kept secure from other pupils. You are left with a blank site and we need to start some SharePoint Features that will allow us to do everything we need in this series. Go to Site Actions, Site Settings and then select Site Features under Site Actions. The main feature we are going to use is a workflow that takes a submitted form in the submitted list, copies it to a new list that is managed by a teacher and then deleted from the submitted list so other students can’t find it. Its important that we have consistency between the drop off of the reports and the logging of the report for member of staff to see and we can do this by making on content type and adding it to both lists. Is this about you or a friend? Is this happening at school or out of school? How should we talk to you about what happened? Under Groups create a new group called Report Abuse. 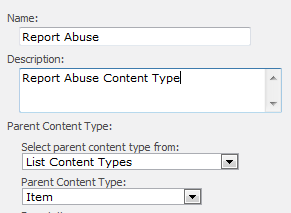 When you create each of the other columns you will find Report Abuse in the Existing group drop down list. The description box can be left blank but if you want to give the pupils a little more direction or an explanation of what will happen with the information you can do. 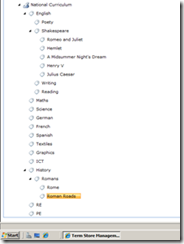 Enter the different choices into the box and set that the column has to contain information. At the bottom of the page you will see Default Value. This will have the first choice in the list but by deleting this it will mean the user will have to pick one of these. 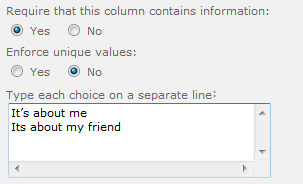 Click Ok to create this column and then create all the others remembering to use the same grouping name. When we have created all these columns we now want to create them into a content type so when we add them to different lists we have some consistency of columns. You will need to select a parent content type. Select List Content Type and then Item. Give this content type a new Group called Report Abuse. It will help us to find it later on. 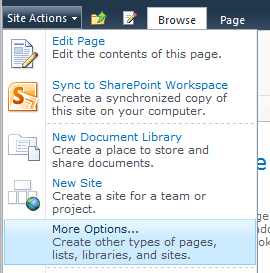 Now go into the content type and add the site columns created earlier. We need 2 lists, one will be used for students to submit and the other is used to monitor all the submitted reports by students. We need to have different permissions on both of these lists so students have the ability to submit but don’t see the other list of other submitted reports. The 2 lists are going to be called. 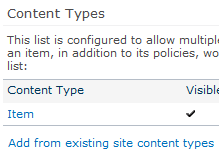 In General Settings, go to Advanced settings and set Yes to Allow Management of Content Types. Click on OK and you will be taken back to the List Settings page. In the Content Type area on the page click Add from existing site Content Types. In the groups you will see Report Abuse. Add this Content Type which will include all the columns you have created. Now click ‘Change new button order and default content type. In Part 2 we will create the workflow that will take the submitted report and move it to a secure area for a teacher to use and track reports. Over the past few months BFC Networks have been working hard to change the way SharePoint looks in the education space. 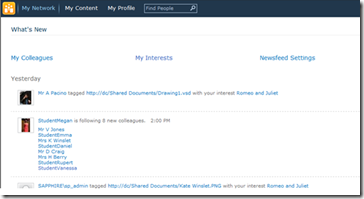 By default SharePoint is very bland and doesn’t love much in its role to engage users. At BETT 2012 BFC Networks were proud to have Microsoft use the design on their stand to demonstrate how SharePoint doesn’t have to look like it doesn’t out of the box but instead it look existing, engaging and relevant to the education sector. 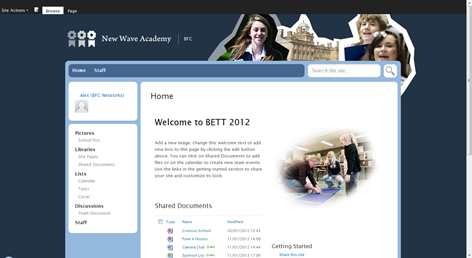 We are announcing today that we are now offering the design to any schools with SharePoint 2010 allowing them to change their environment to look attractive for their school. The design will be available in the BFC Shop in a few weeks times but orders can now be taken. 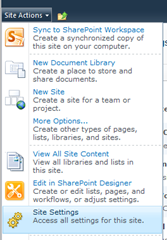 If you like the design and want to use it for your SharePoint 2010 please get in touch by emailing info@bfcnetworks.com and we look forward to hearing from you. Click image to see full view of the image. The popularity of the ‘MVP chat’ has grown each time Microsoft have hosted the event online and this month won’t be any different when the doors are opened again for you to ask your technical questions. 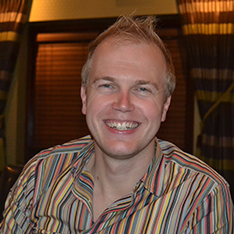 It doesn’t matter if they are IT pro, dev or questions around project management a SharePoint MVP will be there to help answer your that annoying question you still don’t have an answer to.